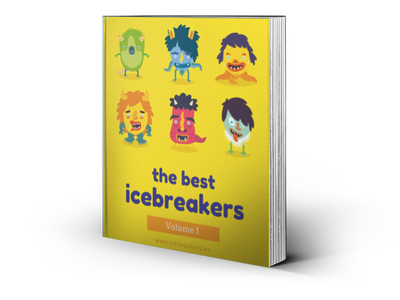 Categories - Icebreakers, Icebreaker Ideas, Games, Activities! Test your ability to pull names of people and places, and other words, from your memory while under pressure in this simple quick-thinking game. Great for car journeys, and it can also be played as a drinking game. 4 to 10 is a good number of players for Categories. It can be played with more, though gaps between each player’s turn will become longer. Split into two groups if needed. Each player is given a pen and a sheet of paper. A category is chosen. Just for example: names of counties, last names of celebrities, makes of car, or names of films. A letter of the alphabet is chosen. The letters Q, U, V, Z, Y or Z can make the game too challenging, and mental blocks in this game will cause frustration and boredom, which is why those letters were removed from the dice in the similar game called Scattergories. Set a countdown timer for one minute. The goal of the game is to score points by writing words that start with the given letter and fit into the given category. You are rewarded for originality: a word is only worth points if other players have not also thought of it. Everyone spends the next minute writing down as many valid words (those that fit the category and start with the correct letter) as they can think of. When the timer ends, everyone stops writing immediately. Each player reads through their list of words out loud. If one of their words was also written by another player, that player should say so. That word scores no points for either player. Every word that only appears one one players list scores one point for that player. If anyone thinks a word does not fit the category, all players can vote on whether to accept the word or cross it off. In the case of a tie, the word is disqualified. This simpler variation removes the need for a pen and paper, or for points scoring. Instead, players take it in turn to give a valid answer, and if they take too long to think of one they are eliminated, or take a forfeit. This version is great at times that you cannot write, such as during a car journey. Everyone gathers into a circle. Decide on a category and a letter of the alphabet, as above. In clockwise order, starting with a random player, each player must give one valid answer. If a player cannot think of any, or takes more than five seconds to give an answer, they are eliminated from the game. A new category, letter, or both are decided upon, and a new round begins starting with the player to the left of the eliminated player. Instead of eliminating a player, you can have them take a drink. It won’t improve their ability to give an answer in the next round, though!